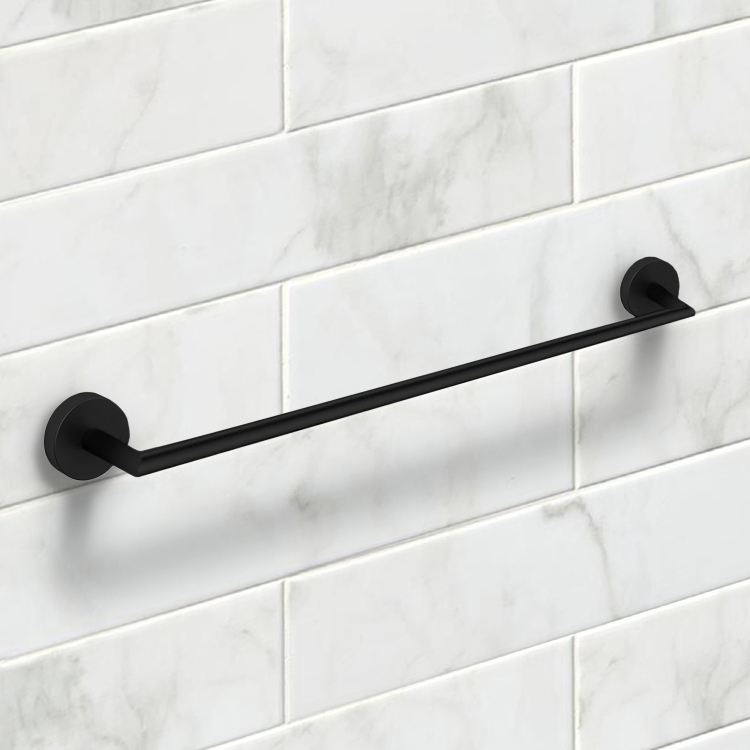 Beautifully crafted 24 inch towel bar made out of solid brass in a matte black finish. 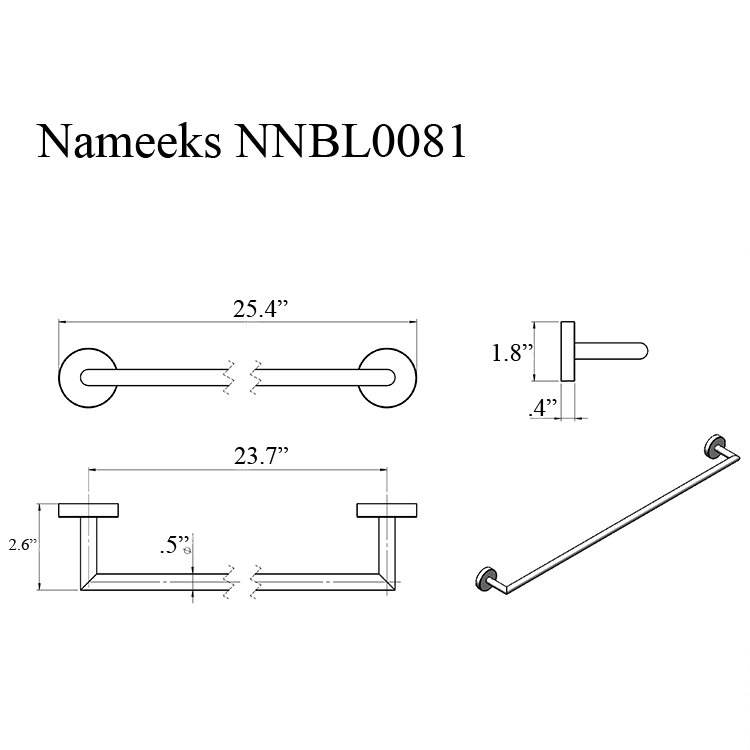 Towel bar features modern round mounting plate with a round bar. Mounting hardware is included.